A reader writes to tell us of this manhole cover which has been missing since at least January 21st. The manhole in question is on Bernon Street at Candace Street next to the Smith Hill Public Library. Our reader says he contacted Public Works about this on the 21st and spoke with someone at the city on the 27th. 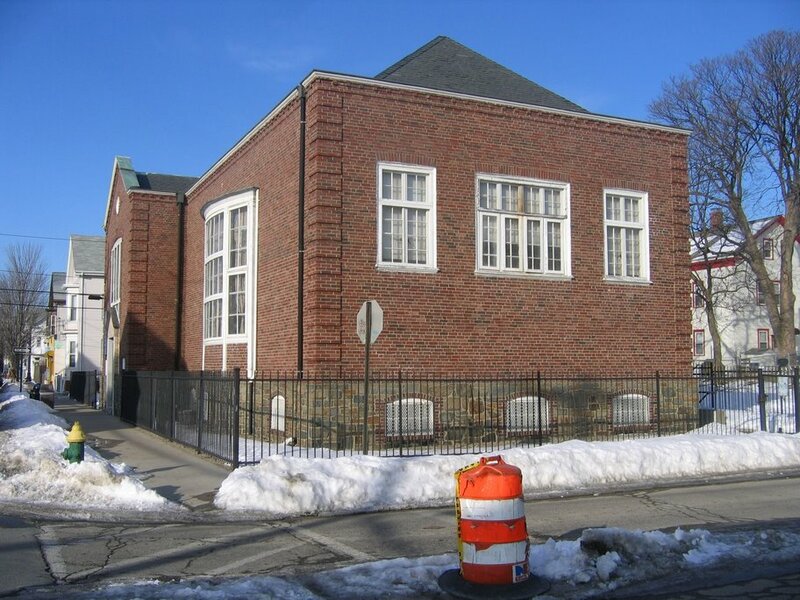 He spoke with Councilman Hassett at the Smith Hill Library on the 4th and was assured that the issue would be resolved. As of yesterday, the manhole remained, coverless with a barrel over it. 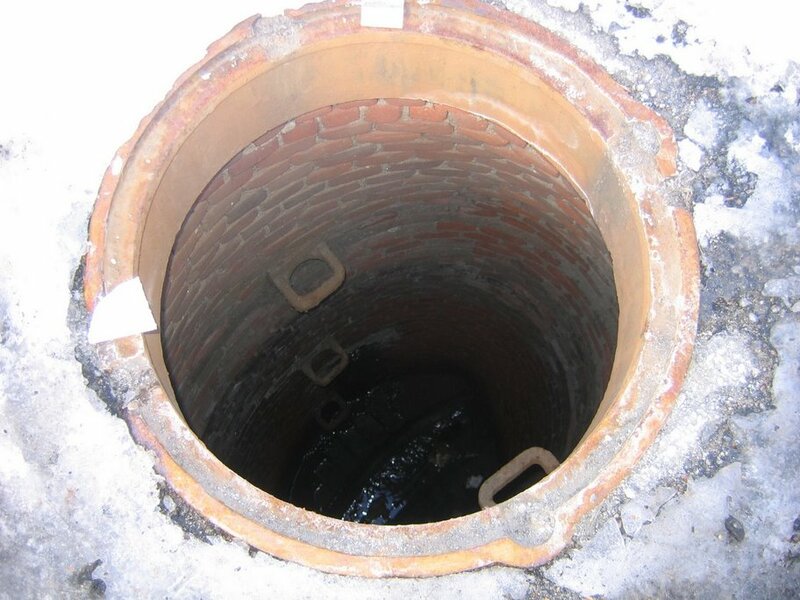 As our reader points out, simply placing a barrel over an open manhole cover is not a solution. He was easily able to lift the barrel with one hand to take the above photos of the hole. 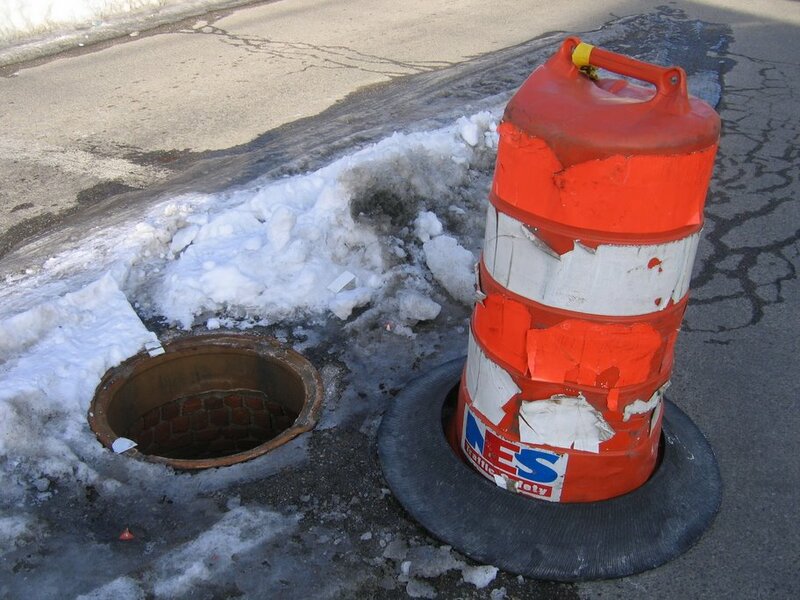 Someone could easily slip on the ice and push the barrel aside and end up down the hole. With lots of children in the neighborhood and the Library right there, that person could easily be a child. A few questions come to mind here. First, what the hell happened to the manhole cover, they don’t just grow legs and walk away? Does the city not view this as an urgent situation? Who do you need to call to get something done around here? Our reader seems to have done all the right things, yet he is still waiting for simple results. Reportedly stealing manhole covers became a trend during the commodity boom last year. Like stealing pipes out of vacant buildings (big in Elmwood last year…), except heavier. I think someone didn’t get the memo that scrap metal prices have cratered. I wonder if that barrel could be jammed in the hole upside down as a stopgap? I’m told it was at one point. Late update on this. A new manhole cover has been put in place at this location, I’m told it arrived in place shortly after this post was made. So we can all breathe a sigh of relief that we won’t have our own Baby Jessica adventure in Smith Hill.